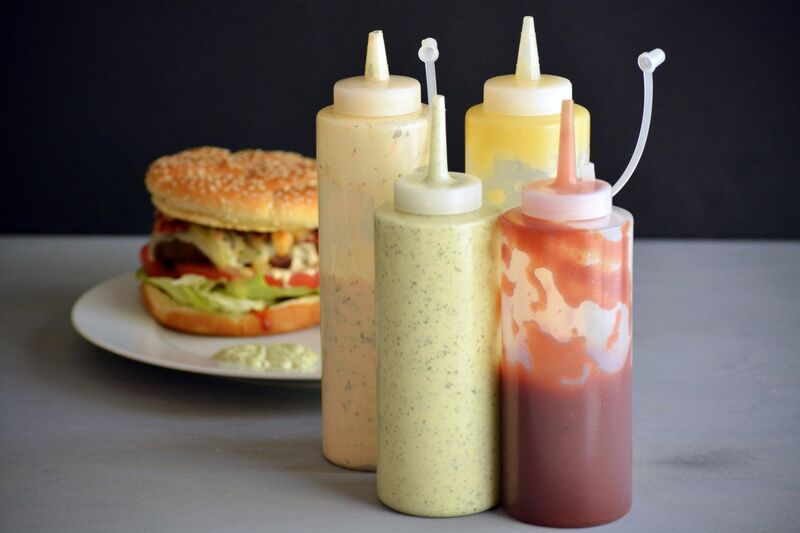 Colombians love fast food and one of the main reasons is because they love putting all kinds of sauces on top of their burgers or hot dogs. 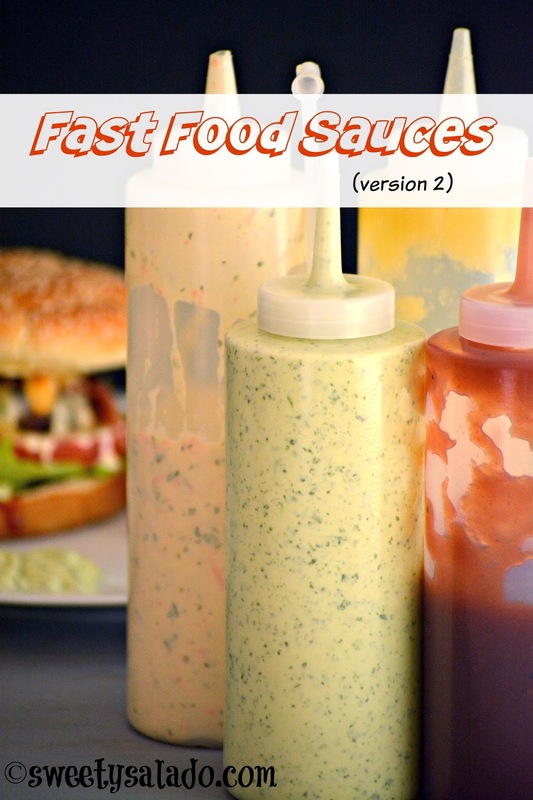 A few years ago I posted a few recipes for some of the most famous sauces used in Colombia, but since the list of all those different kinds of sauces is pretty much endless, I decided to post a few more this year. The first sauce is a very basic one that is usually served with salted potatoes and it’s incredibly delicious. The BBQ ketchup is a twist on regular ketchup that I usually serve whenever I make anything made with BBQ sauce. And the last sauce was a complete mystery to me because I had never heard of it until I posted the recipe to make tartar sauce. 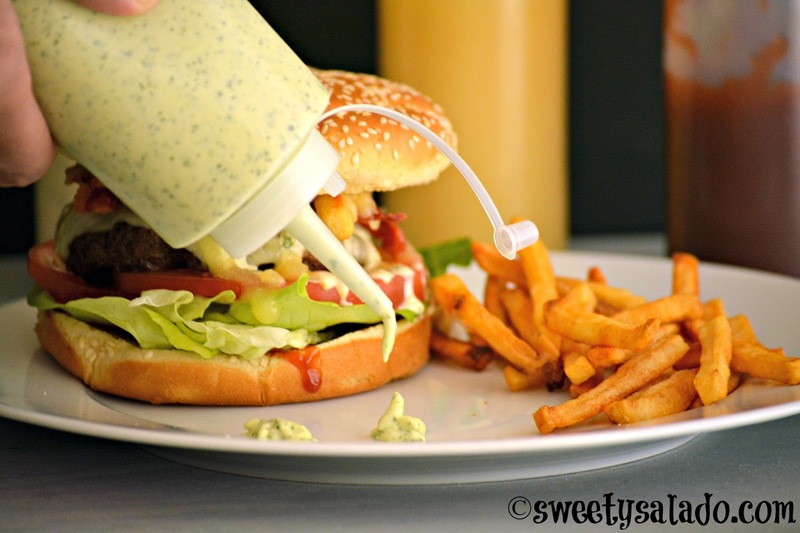 Once I posted that recipe, people started asking me if I knew how to make sweet tartar sauce with pineapple. I was totally confused because I had never seen a sweet tartar sauce. Then, during my trip to Colombia last year, I spotted it at one of the many fast food stands I came across and asked how it was made. Turns out it’s a pineapple flavored mayonnaise with carrots and cilantro that for some odd reason is called “tartar sauce” in Colombia. Place the 1 cup of mayo, garlic powder, onion powder, white vinegar, mustard, cumin, salt and cilantro in a food processor and blend well. Mix the ketchup, BBQ sauce and brown sugar in a small bowl. Mix the ½ cup of mayo, pineapple sauce, orange juice, grated carrot, cilantro and salt in a small bowl. Pour the sauce in an airtight container and store it in the refrigerator. If you want a thicker consistency, you can add more mayo and less orange juice. All sauces can last up to 2 weeks in the refrigerator if stored in air tight containers. Despite the fact of scones being not very photogenic, you have done a wonderful job of making these look incredibly delicious! Yup great article on fast food. Fast food always looks testy. These recipes look amazing! Definitely not going to read this before breakfast again, now I want a burger and all these sauces. Thanks for this!